This week’s stroll was less of a walk and more of a voyage. 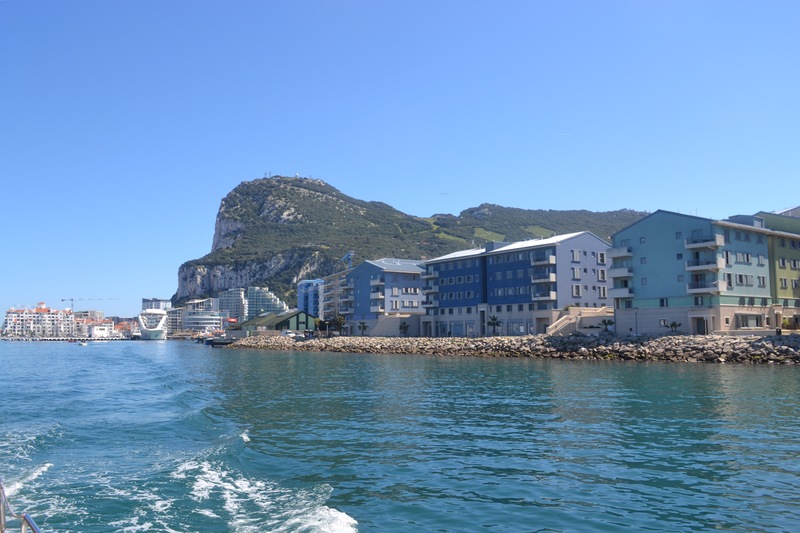 We took full advantage of the luxury of a long bank holiday weekend (it was Commonwealth Day on Monday) and the great warm spring weather and took to the high seas (well the Bay & Straits of Gibraltar) in search of dolphins. 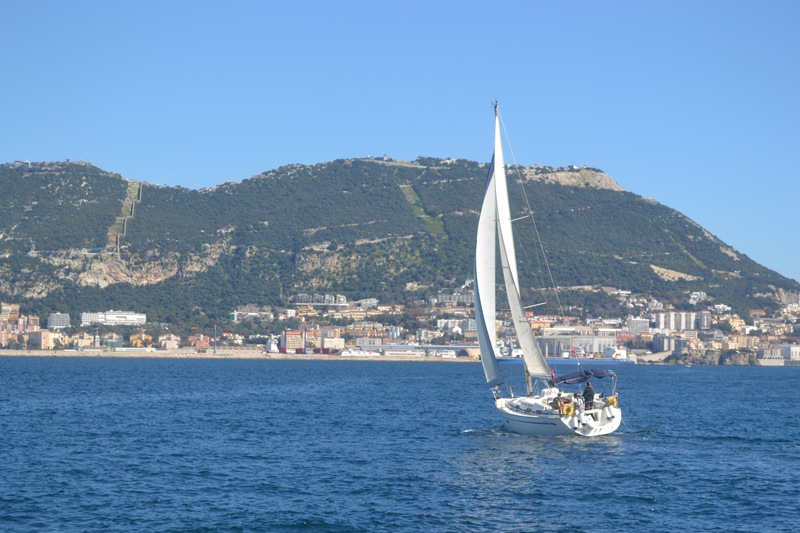 We are surrounded here on three sides by water; the Mediterranean to the East, the Straits of Gibraltar to the South and the Bay of Gibraltar to the West (and the Atlantic Ocean a bit further West!). 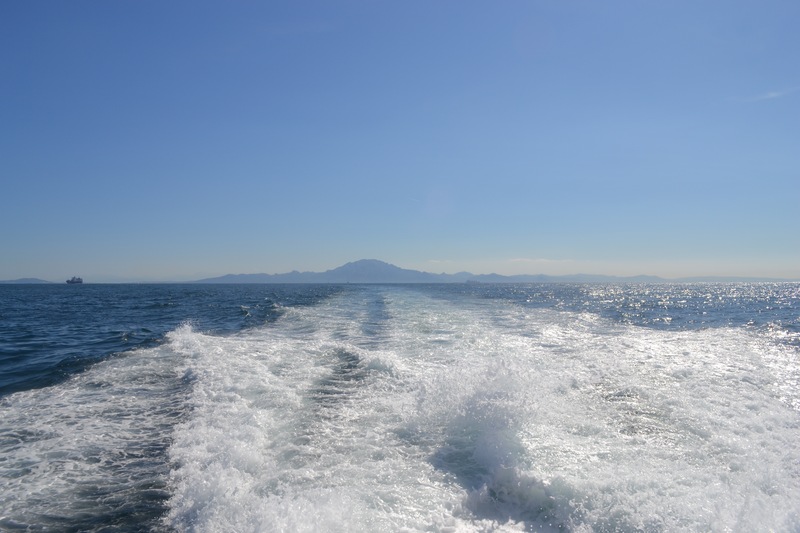 This means that our local waters are frequented by several varieties of dolphins and occasionally Orcas. 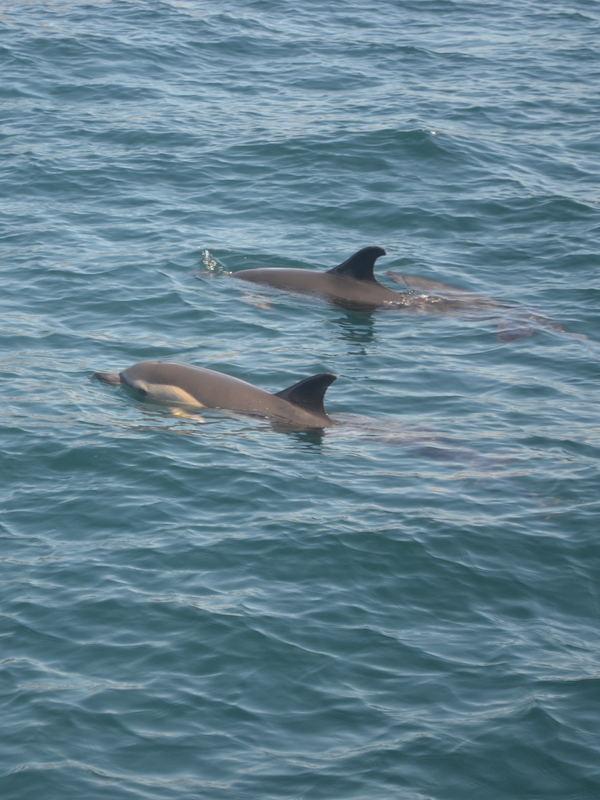 A couple of local companies offer boat trips out into the Bay and beyond with the 99% promise that you will see dolphins. As we had visitors over who’d never had a go on one of these trips, we thought we’d give it a try. 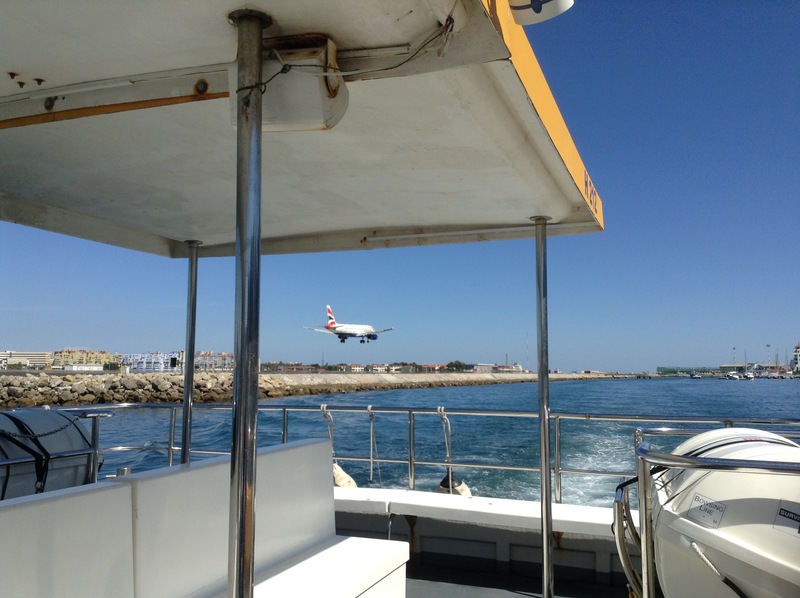 We took our seats on our dolphin boat at Marina Bay in the March sunshine not sure of what we’d see. The water was as calm as you could hope for and we waited excitedly to set off. 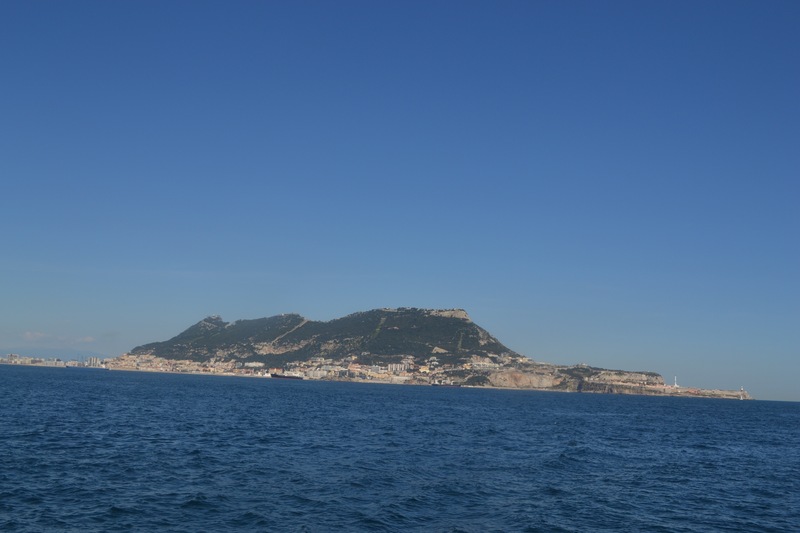 Before long, the Rock of Gibraltar was far behind us. There she is, in all her glory. 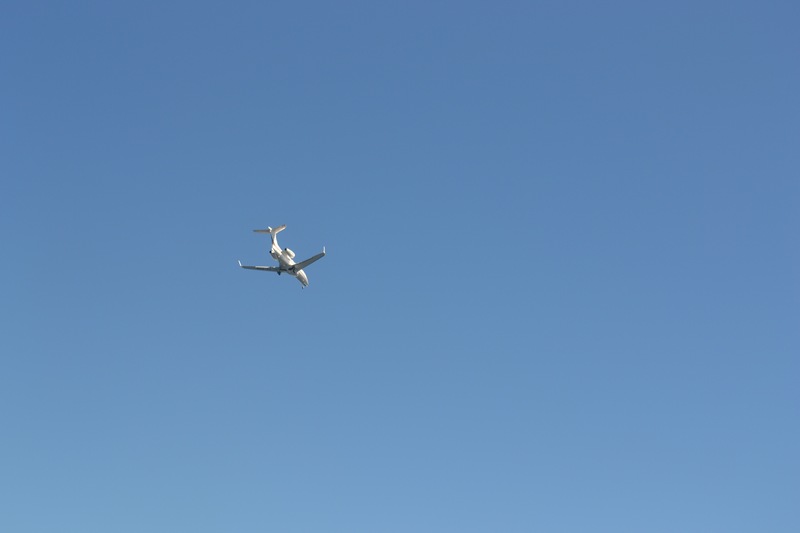 On our way out into the Bay, we had planes overhead coming in to land at Gibraltar Airport. 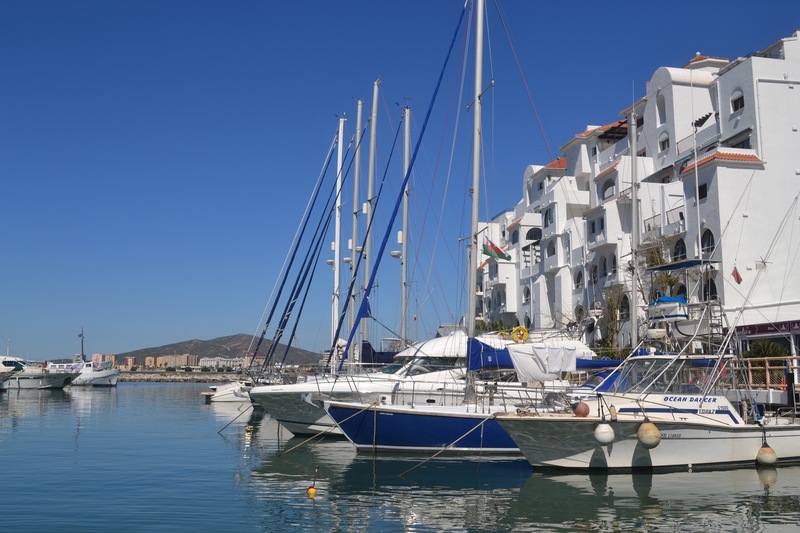 We also saw a large group of yachts making the most of the sunshine and spring breezes. Once we were properly out into the Bay we were called to the front of the boat and it was time to scan the waves looking for dolphins. We have been on these trips several times as a family since we came to Gibraltar to live and every time we have been lucky enough to see some dolphins. However, they are wild animals and particularly at this time of year, they aren’t as common in the Straits and the Bay as they usually are. After quite a while searching the waves for a dorsal fin breaking the surface, the boat’s skipper announced that he was going to take us to another part of the Bay and try our luck there. 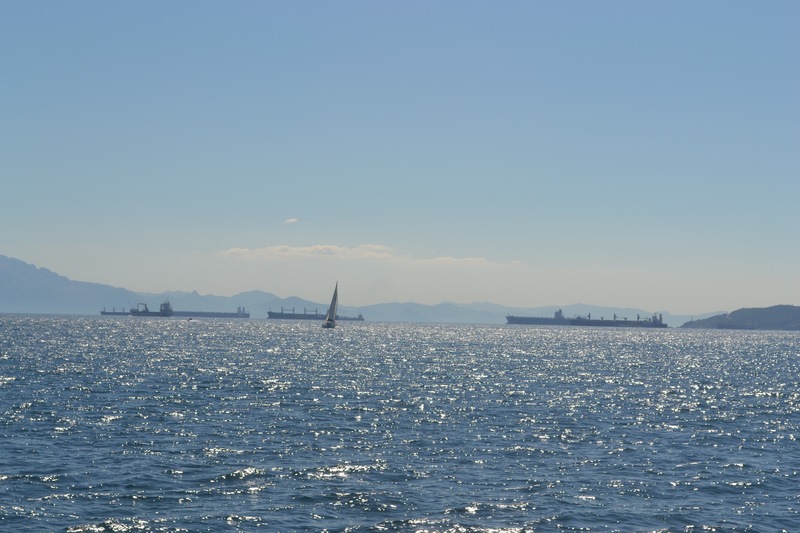 In his photo you can see tankers traveling through the Straits of Gibraltar, the Spanish mainland on the right, and the mountains straight ahead are Morocco. It was the right decision to move on elsewhere because we soon saw a pod of common dolphins, several mothers with their babies along side. We were so lucky because after a while of watching them a short distance away, they came closer to the boat and we got a great view of them. After several minutes, the pod took their leave from us and headed off. 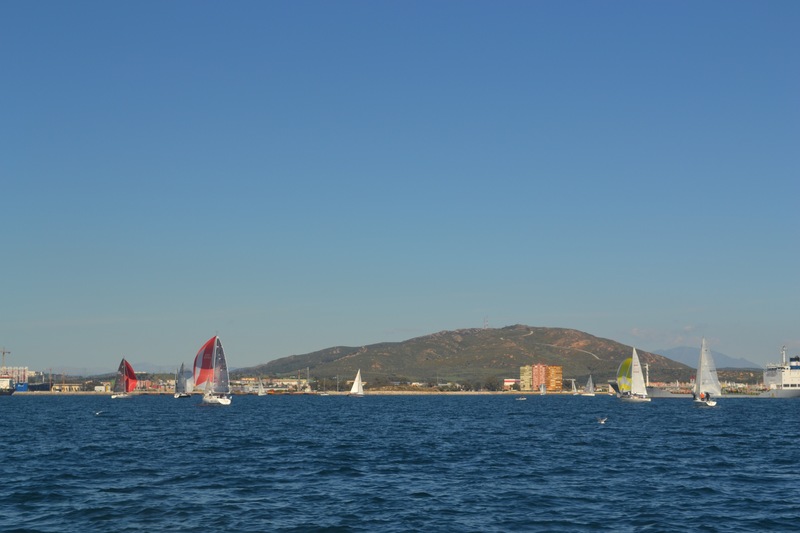 At this point the skipper and his crew announced that they’d take us further south into the Straits as Orcas had been spotted there recently – how amazing would that be to see whales?? We headed to a spot about half a mile off Europa Point lighthouse (the most southerly point of Gibraltar) and soon literally hundreds of dolpins could be seen arcing out of the water to dive for fish. Unfortunately I wasn’t able to get a clear photo of them as they were too far away and too quick for me to snap in time, but I did get to see the Rock from a totally new angle. 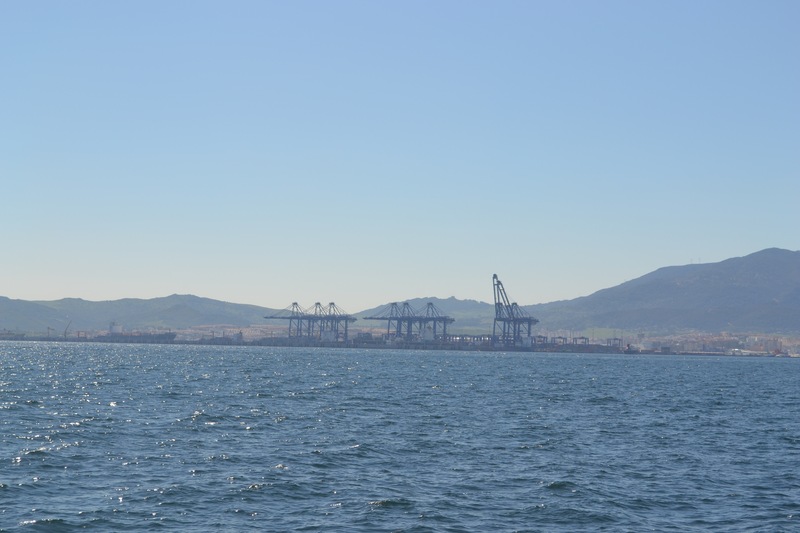 I’ve never been this far south of Gibraltar in a boat before, so it was great to see where we live from a different perspective. 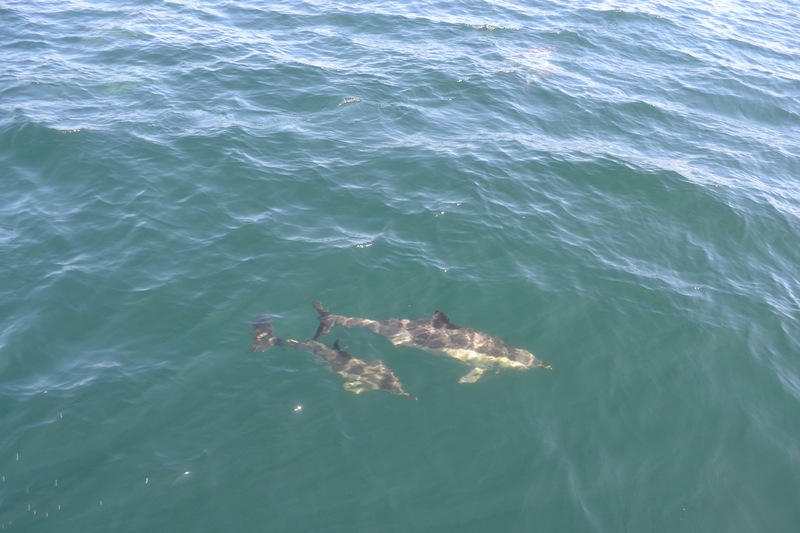 A few of the mature common dolphins who had been diving for fish came closer to the boat and raced along with us. 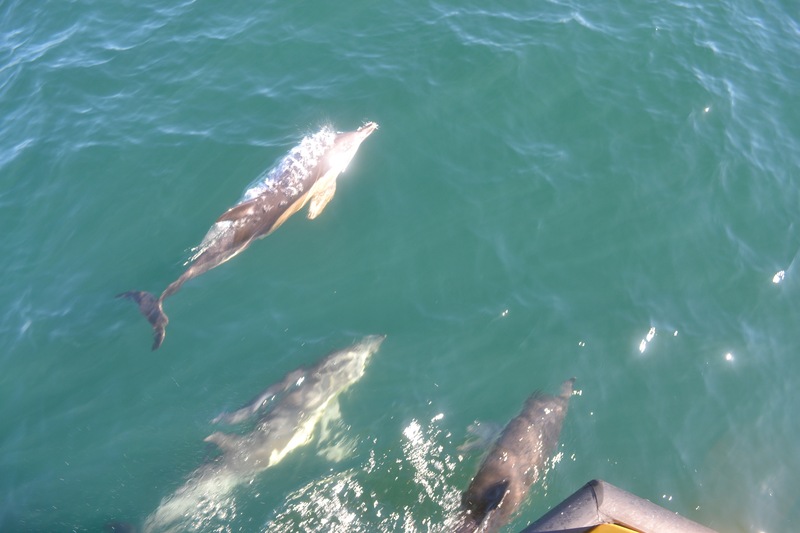 It was so exhilarating to see these wild creatures at such close quarters and swimming around beneath our boat right where we were standing! We didn’t see any Orcas but that didn’t matter at all as we saw so many dolphins! 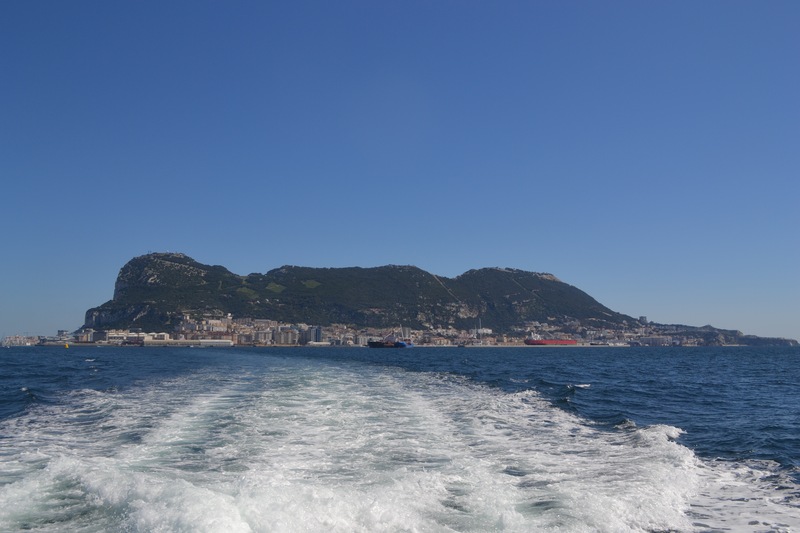 After about two hours out in the boat it was time to turn around and head back home to Gibraltar. The crew said it had been the best trip of the year so far and it was definitely our best dolphin trip to date (we have seen dolphins before but not so many). 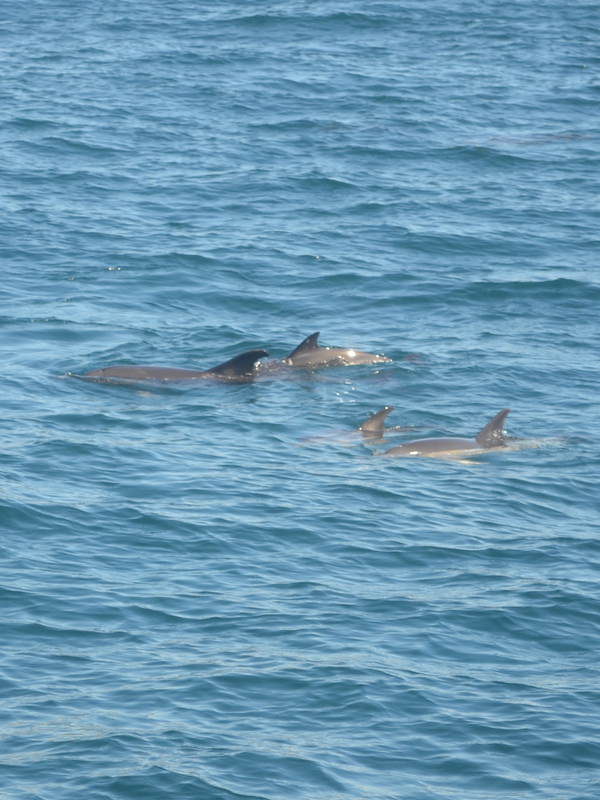 It was magical; sunshine, calm seas and plenty of dolphins who came out to play for us. We won’t leave it so long before doing it again! Our trip was with Dolphin Adventure this time. If you would like to find out more, check out their website. (I haven’t been paid to advertise this by the way, I just wanted to share a great afternoon’s trip out!). Thanks for visiting. Until next time, bye for now! What a terrific experience for you all. Lucky visitors! Wowser! So glad to get back home in time to see this! 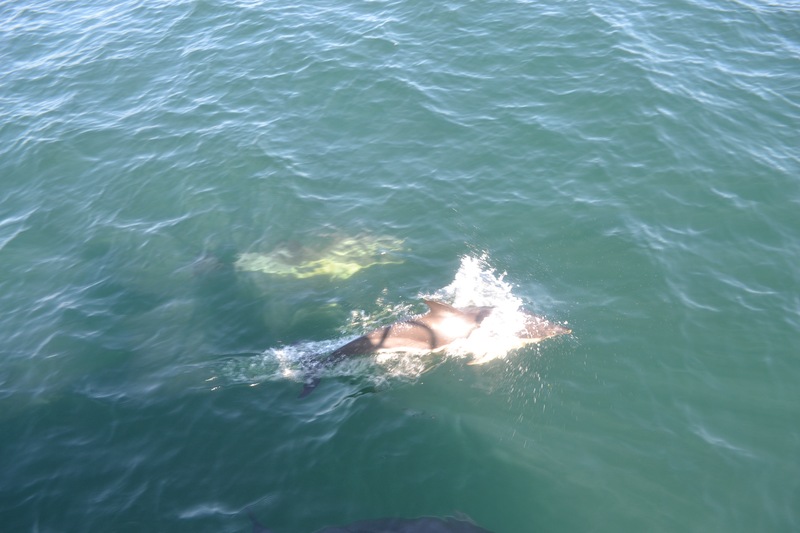 You live in such a beautiful part of the world and get to see dolphins too ……. Sighing!! Beautiful photos of your area and the dolphins. They are amazing creatures. I get horribly sea sick but I think even I could be tempted out on such calm waters and with the promise of dolphins. Oh yes it was lovely and calm thankfully! Great trip 🙂 baby dolphins must so cute in real !!! Lovely photos !! Thanks, yes we certainly do. It was a brilliant trip out. Magical! What a lovely experience!